The CDC has just published a seismic study (Donahue et al.) linking spontaneous abortions in women to flu vaccines. The study reviewed data for the 2010-11 and 2011-12 flu seasons. 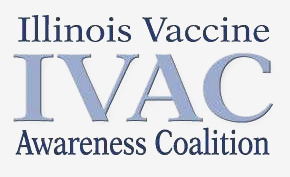 Women vaccinated with the inactivated influenza vaccine (IIV) in the 2010-2011 season had 3.7-fold greater odds of experiencing a spontaneous abortion within 28 days than women not receiving the vaccine. Over the entire study period (2010 to 2012), the odds for a spontaneous abortion for vaccinated women were 2.0 times greater than for those women not receiving the flu vaccine. Both figures showed a statistically significant increase in miscarriages when women received their flu shot. The median gestational age for spontaneous abortion was 7 weeks in the affected pregnancies. Most alarmingly, in women who received the H1N1 vaccine in the previous flu season, the odds of spontaneous abortion in the 28 days after receiving a flu vaccine was 7.7 times greater. The vast majority of these flu vaccines were multi-dose formulations, containing 25 micrograms of mercury via the preservative thimerosal. In those years, out of approximately 150 million flu shots given in the U.S. annually, less than 50 million or 34% of those vaccines available for pregnant women were thimerosal-free. CDC officially claims that thimerosal is the “safe” mercury because it is purportedly excreted quickly from the body. CDC bases this claim solely on its misinterpretation of data from a poorly designed study conducted in the early 2000s by an industry insider, Dr. Michael Pichichero. Subsequent studies have proven that the ethylmercury in thimerosal is actually far more persistent in organs than the methylmercury in fish (Burbacher et al.) (Rodrigues et al.). In flu shot package inserts, vaccine manufacturers acknowledge that flu vaccines have never been shown to be safe for pregnant women. In fact, overwhelming science shows clearly that this preservative is neurotoxic and deadly and that it may be particularly dangerous to the fetus during pregnancy. When given to pregnant women, mercury transports specifically to the placenta and into the fetus, which does not have any mechanism for detoxification (Ablesohn et al.). In fact, it has been shown that mercury levels in cord blood are on average 70% higher than those in maternal blood (Stern et al.). The new study confirms the findings of a previous study by Goldman. Using CDC’s VAERS database, Goldman showed a similar uptick in spontaneous abortions due to the flu shot, specifically during the time when pregnant women were receiving both the seasonal flu shot and the pandemic H1N1 flu shot. In fact, the rate of miscarriages increased 11-fold in 2009 when the H1N1 vaccine was added to the recommended schedule. During this time period, pregnant women who received both shots were typically exposed to 50 micrograms of mercury via thimerosal. The maternal flu shot, given specifically in the first trimester of pregnancy, has also recently been implicated in autism spectrum disorder (ASD) in a paper by Zerbo et al. from insurance giant Northern California Kaiser Permanente. Kaiser’s data showed that those women who received the seasonal flu vaccine (between 2000 and 2010, when the majority of vaccines distributed contained thimerosal) were 25% more likely to give birth to a child who would later be diagnosed with ASD. This result was also statistically significant. See this interview from a mother describing her miscarriage immediately following a flu shot. The aborted child’s twin was born with severe autism. Thimerosal exposure has previously also been associated with birth defects (Heinonen et al. 1977 Birth Defects and Drugs During Pregnancy, Publishing Sciences Group, Littleton, MA), tics (Thompson et al. ), speech and language delays (Andrews et al., Verstraeten et al. ), among many other developmental disorders. My book, Thimerosal: Let the Science Speak details over 400 studies on the toxic effects of thimerosal. Given all of this evidence, it is now past time to completely protect our children and pregnant mothers from this potent neurotoxin. Accumulating research indicates that flu vaccines, perhaps even those without thimerosal, administered during pregnancy, can induce an inflammatory response in the mother and potentially cause harm to the fetal brain during critical windows of neurodevelopment, including harm associated with autism. A study by Christian, in 2011, found an increase in two inflammatory markers, C reactive protein (CRP) and tumor necrosis factor-alpha (TNF-a) in pregnant women given a seasonal flu vaccine. Increases in these inflammatory compounds indicate a significant level of inflammation, which was identified during the first two days following vaccination. It is unclear for this study how many of these flu shots contained mercury, but there is good reason to be alarmed by these findings. A 2014 studyby Alan Brown, M.D. and his colleagues of over 1.2 million pregnant women found that elevations in CRP, the same marker of inflammation that increases after flu vaccination, are associated with a 43% greater risk of having a child with autism. An earlier study by Lisa Christian, Ph.D. and her colleagues found that pregnant women suffering from depression developed a more marked inflammatory response to influenza vaccines than women who did not have symptoms of depression. Researchers found that depression during pregnancy has also been associated with an increased risk of autism. In a study published in the British Medical Journal in 2014, Giuseppe Traversa and colleagues assessed maternal, fetal, and neonatal outcomes of women given the influenza A/H1N1 vaccine. The outcomes of over 86,000 pregnancies revealed that vaccinated women had significantly higher rates of gestational diabetes and eclampsia. Eclampsia is the development of seizures in a woman with severe toxemia, a condition characterized by high blood pressure and protein loss in the urine. Eclampsia is fatal in 2% of women affected and can result in long-term health problems in those who survive. Fetal complications, including neurological damage and death, are also common. Both gestational diabetes and eclampsia are related to inflammation and immune dysregulation, making the connection to the immune stimulation of the flu vaccine very plausible. In a 2016 study,Chambers et al. found a moderately elevated risk for birth defects among children born to mothers who received one flu vaccine during the 2010-2014 flu seasons. Among the team of researchers who authored CDC’s earthshaking new flu study is Dr. Frank DeStefano, the Director of CDC’s Immunization Safety Office. The CDC’s official reaction to the study has been a gag order forbidding any CDC vaccine division employee even talking to the press or responding to inquiries. At the end of the Donahue et al. paper, CDC has also announced a follow-up study on the 2012-2015 influenza seasons but it will not report the results until next year. Perhaps, the CDC should move things along faster, with 4 million babies at risk this flu season.